BUS SERVICE OPERATOR AT GOLDEN MILE CEASED BUSINESS WITH IMMEDIATE EFFECT! You are at:Home»Featured»BUS SERVICE OPERATOR AT GOLDEN MILE CEASED BUSINESS WITH IMMEDIATE EFFECT! 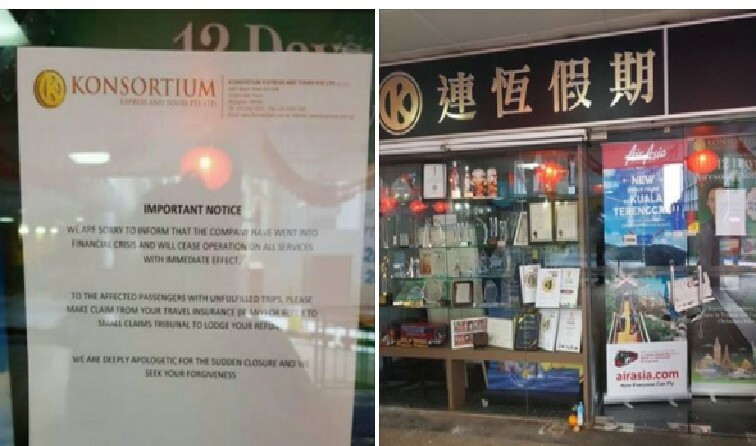 Konsortium Express & Tours Pte Ltd”, who operates bus services between Singapore and Malaysia had posted this notice of “Business ceasing with immediate effect” in their office at their Beach Road, Golden Mile office. Previous ArticleNETIZEN CLAIMS THAT HUGE SLAB OF CONCRETE CAME OFF THE TRAILER TRUCK @ PUNGGOL!